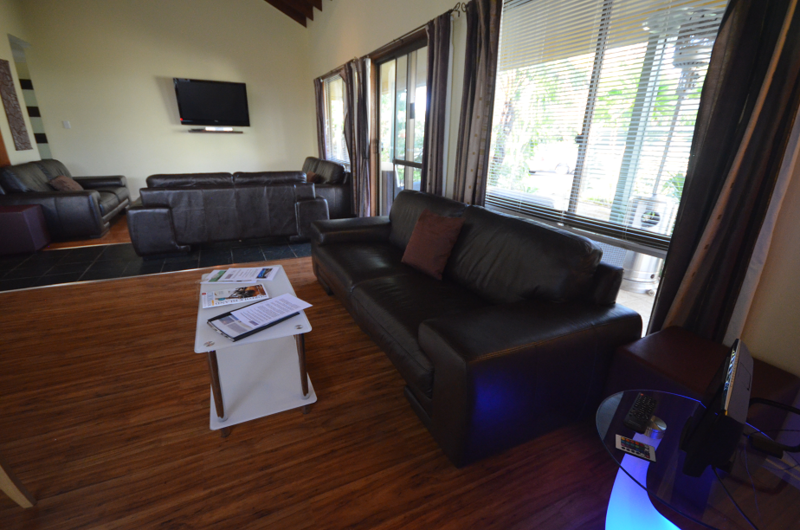 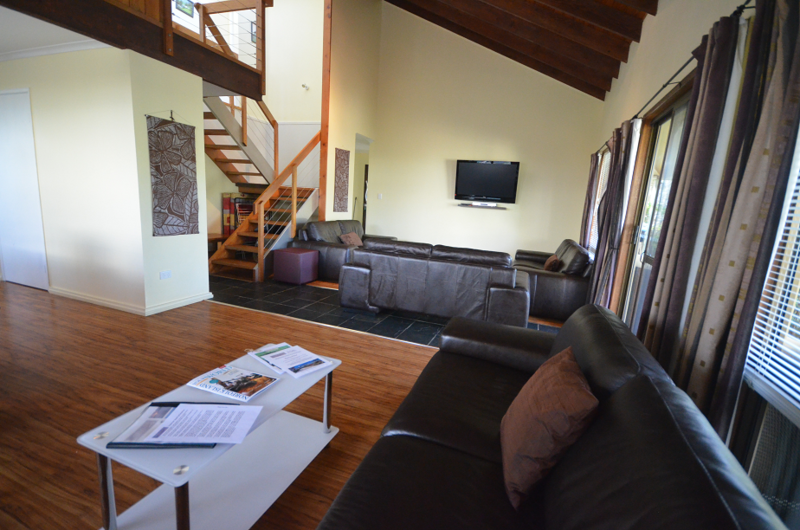 The 4-Bedroom Executive Spa Villa is fully equipped with every modern convenience and appliance. 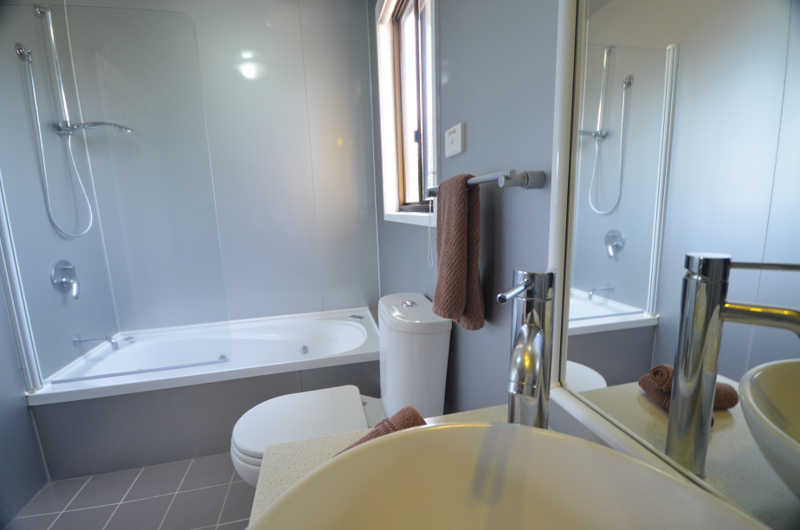 • Three Bathrooms with Egyptian cotton towels, Towel Heater. 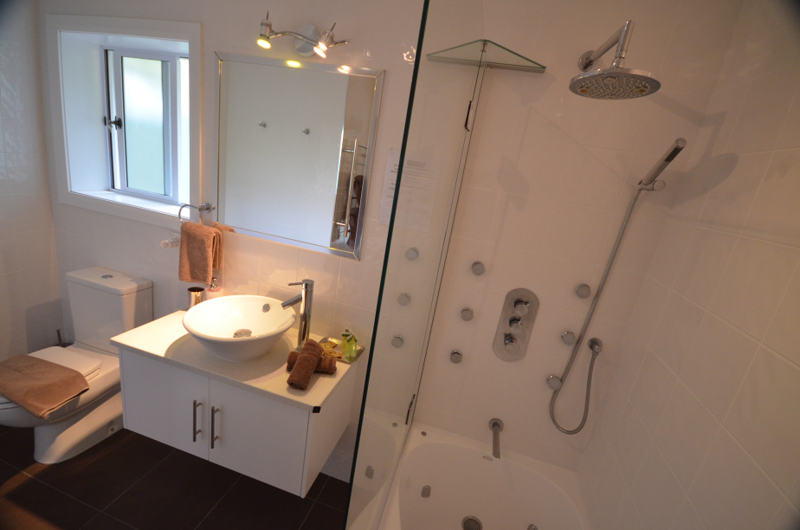 Includes spa bath (with 6 Whisper jets), regular bath, and two Walk-in Massage Spa Showers. 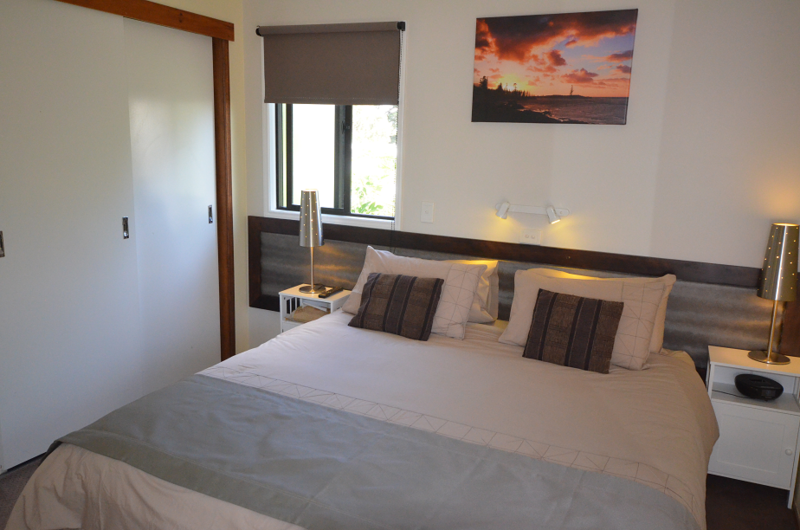 • Four bedrooms with Heavenly King beds, 1000-threadcount sheets, fluffy duvets (doonas), electric blankets. 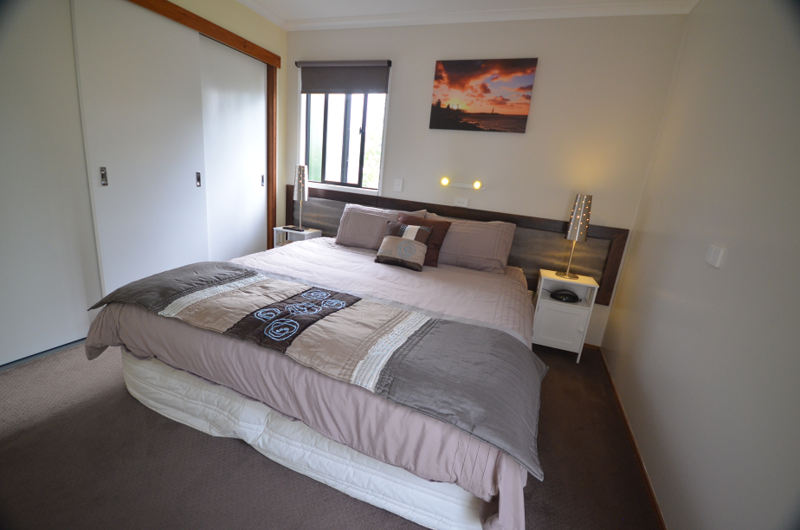 Twin beds available upon request. 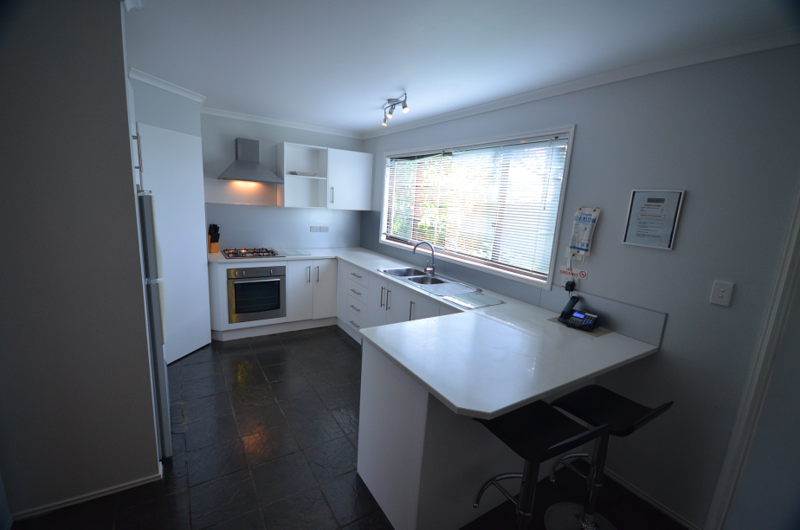 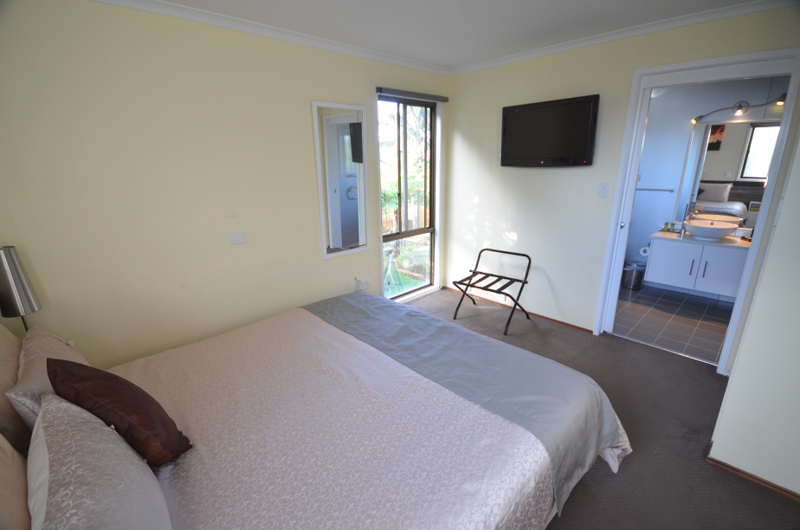 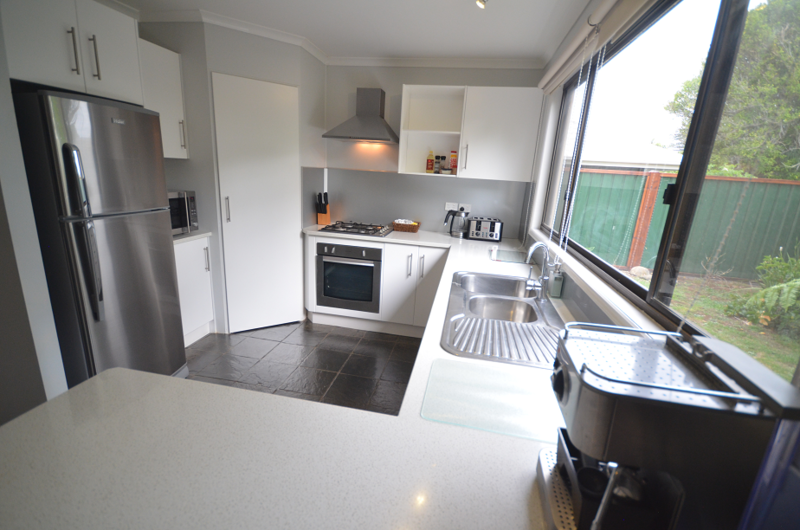 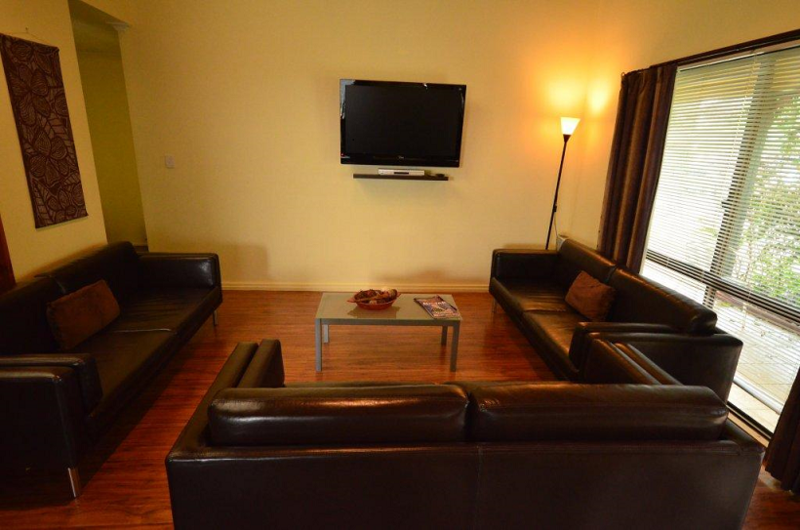 • One Bedroom is downstairs with En-suite bathroom, Other three bedrooms, and bathrooms, are upstairs. 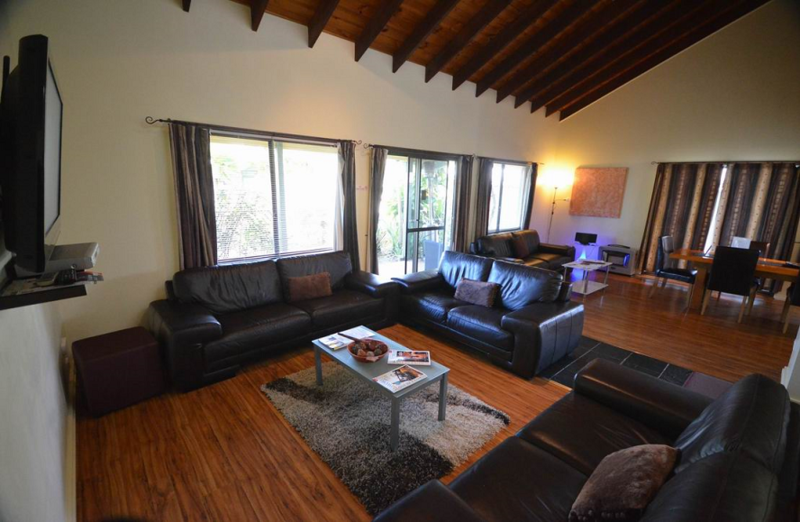 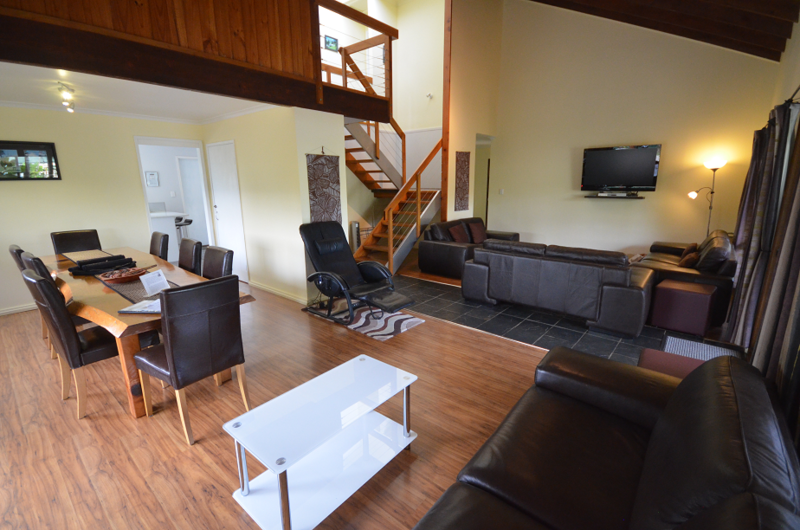 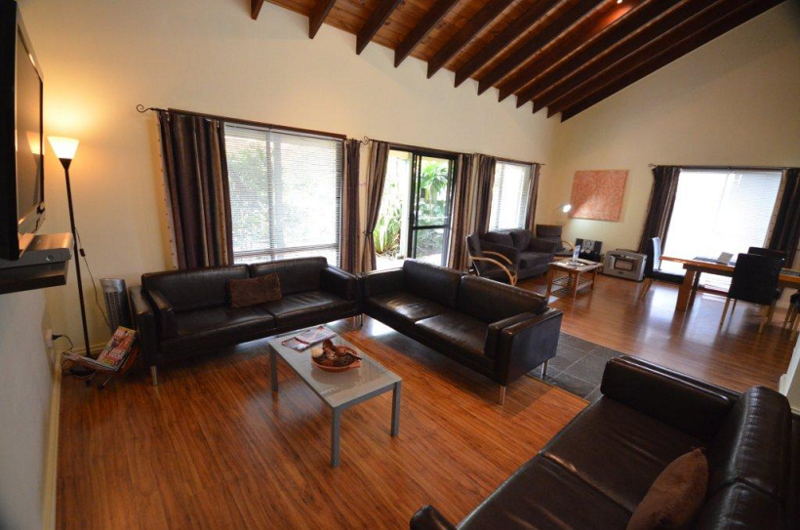 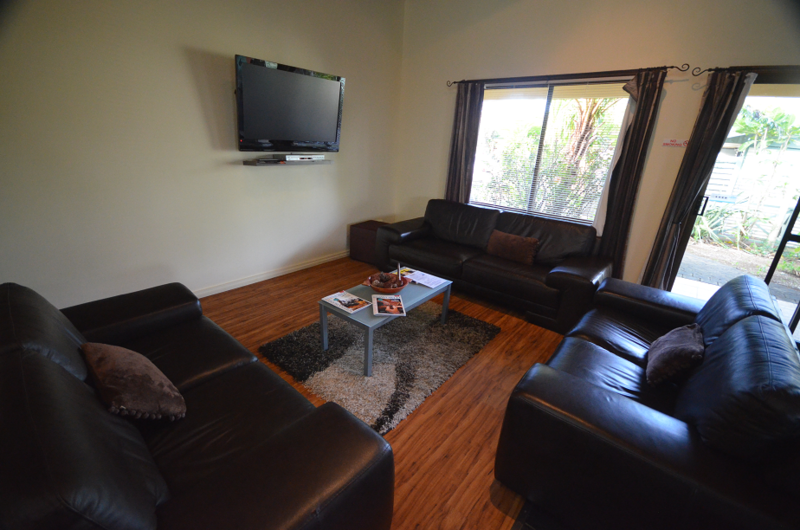 • Massive Living room with DVD Player, Foxtel Satellite Cable TV (57+ channels), leading out to private courtyard with BBQ. 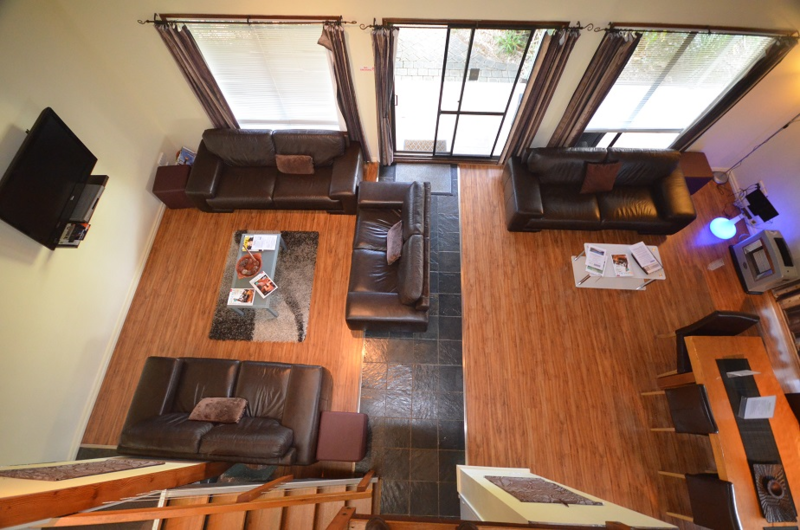 • Private Car Port, Laundry, Dining Room, Vaulted Ceilings.